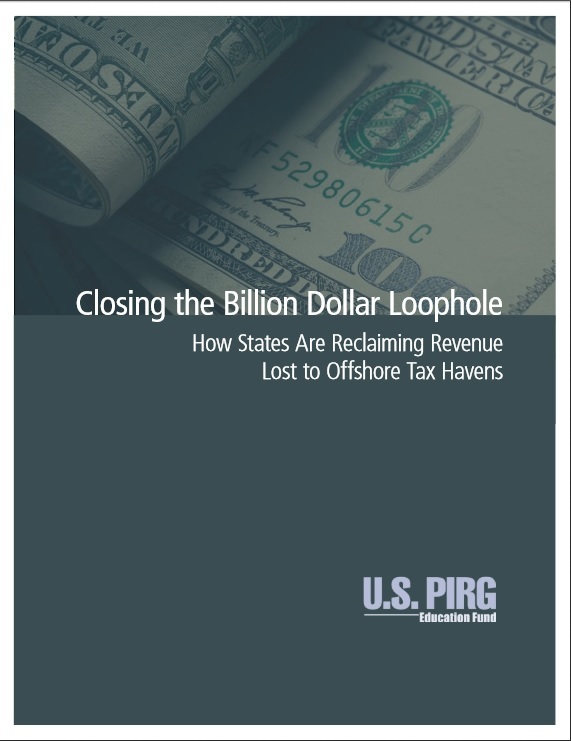 “Closing the Billion Dollar Loophole,” a report authored by the U.S. Public Interest Research Group, estimates that Maine could save $14 million over a two year budget cycle by enacting a simple, proven method to curb offshore tax dodging that's already in effect in other states. Using a process called combined reporting, which requires companies to list the profits of all their subsidiaries on their tax forms, states like Montana and Oregon can treat money stored by companies in known tax havens as domestic income subject to taxation. Maine is one of a handful of states that already employs combined reporting and could follow the systems established by Montana and Oregon. The study comes on the heels of Governor LePage’s State of the State address in which the governor proposed more tax breaks for large companies, but avoided any mention of how to fill the state's budget hole or avoid cuts to revenue sharing and other state programs.